Gabicci Vintage 'Contour' Men's 1960s Mod stripe panel polo shirt. 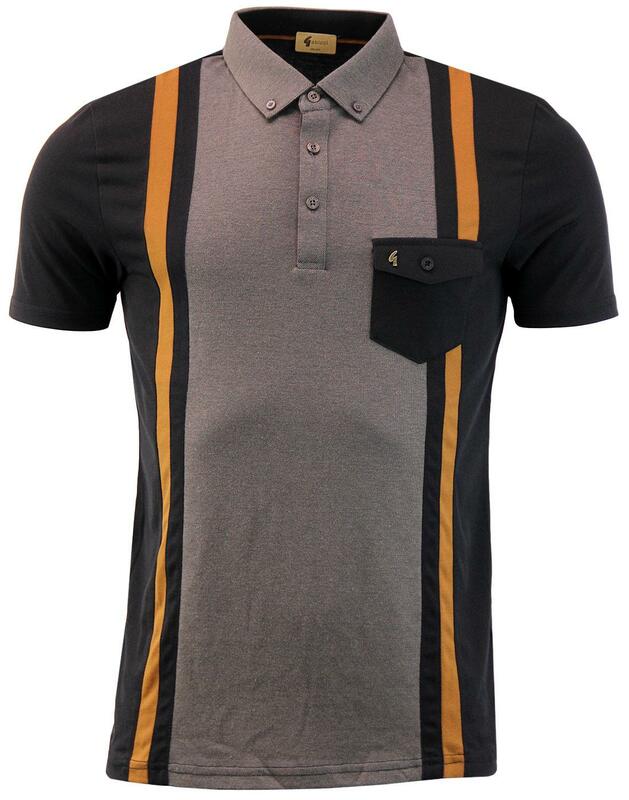 The Two tone Retro Oxford fabric front panel is teamed with stylish cut and sew Mod braces stripes in black & honey. The Retro flap pocket expertly overlaps the centre panel to add extra texture to this outstanding Menswear classic. 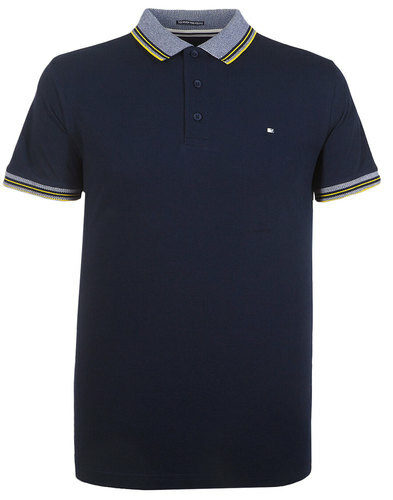 The Gabicci Vintage 'Contour' stripe panel polo shirt is finished with signature buttons, plain black sides and reverse. The 60s Mod button down collar adds a refined and tailored look. 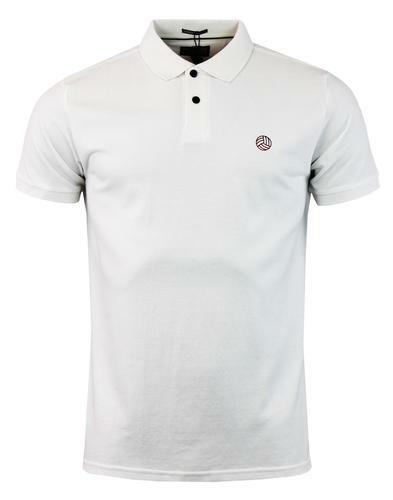 Sure to add a stand out edge to your seasonal ensemble with autumnal tones and exquisite design - The Gabicci Vintage 'Contour' Mod stripe panel polo top. - Textured tonic Oxford fabric centre panel and mod button down collar. - Retro cut and sew braces stripes in black and honey. 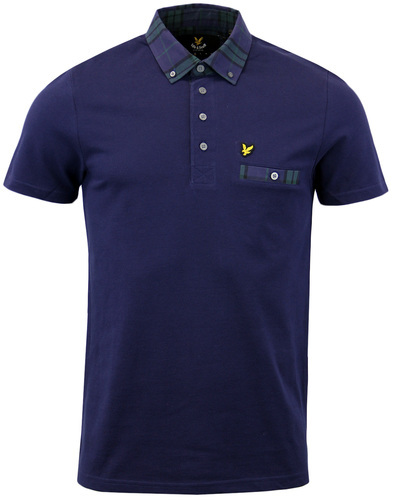 - Block black button flap chest pocket. - Plain black side panels, sleeves and reverse. 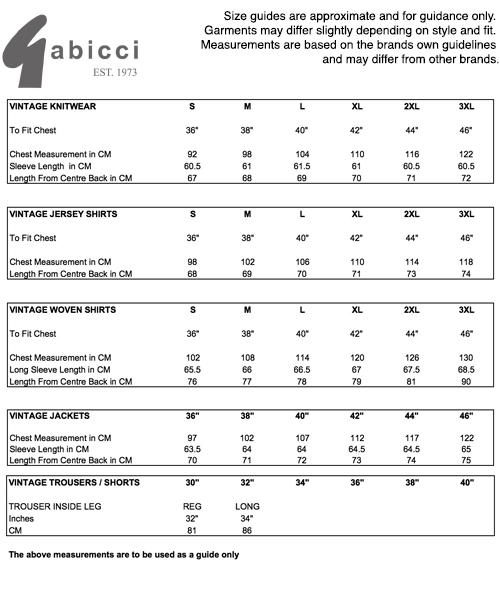 - Gabicci Vintage 'G' emblem to pocket. 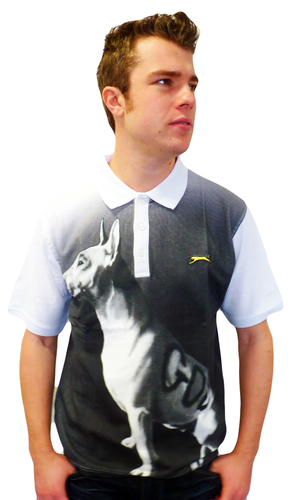 - SKU: V39GX12 Contour Stripe Panel Polo Shirt.